Gardaí said they believe the drugs to be cocaine, pending further testing. GARDAÍ HAVE LAUNCHED an investigation after more than €70,000 worth of drugs, believed to be cocaine, were discovered at the headquarters of the Tipperary Fire Service in Nenagh. 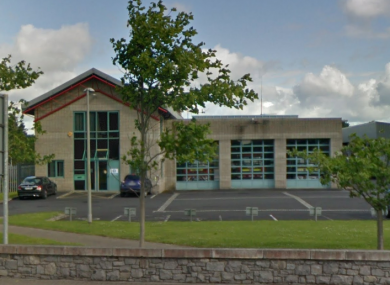 The drugs were found at Nenagh Fire Station, Limerick Road on 17 January. Tipperary Co Council stated an “unknown substance” was found “during a routine health and safety inspection in the Nenagh Fire Station”. The matter was immediately reported to local gardaí, who arrested a man on 18 January in connection with the drugs probe. The man was later released without charge – a file is being prepared for the Director of Public Prosecutions. Tipperary County Council said it was “cooperating fully” with the Garda investigation. Tipperary County Council wishes to confirm that on Wednesday 17 January 2018, an unknown substance was discovered as a result of a routine health and safety inspection in the Nenagh Fire Station and the gardaí were immediately notified. This case is now an ongoing criminal investigation and a file is being prepared for the DPP. “The Council is co-operating fully with Gardai on the matter and it does not want to prejudice or jeopardise that enquiry in any way and therefore is not in a position to comment further pending the conclusion of this investigation,” the Council added. Gardaí said they believe the drugs to be cocaine, “pending analysis”. According to other reliable sources, some or all of the drugs were discovered in a locker at the fire station. The discovery was reported to Gardaí on the 17 January 2018. A man aged in his 30s was arrested by investigating Gardaí on the 18 January 2018 and detained for questioning at Nenagh Garda Station under Section 4 of the Criminal Justice Act, 1984. Tipperary County Council stated gardaí were immediately notified after a “substance” was found at a premises in Nenagh on 17 January last. “Tipperary County Council confirms that on Wednesday 17 January 2018 an unknown substance was discovered at a premises in Nenagh and the Gardai were immediately notified,” the statement read. “The Council is cooperating fully with Gardaí on the matter and will not be commenting further pending the investigation,” it added. The Council’s website states that the “fire service headquarters is based at Limerick Road, Nenagh” and that “these offices administer all items relating to the operational fire service, fire safety, building control, emergency planning and petroleum licensing”. Email “Cocaine worth over €70k discovered at Nenagh Fire Station”. Feedback on “Cocaine worth over €70k discovered at Nenagh Fire Station”.